PMetamorphosis research paper examines a story about a salesman named Gregor Samsa that was first published in 1915 and by author Frank Kafka. Metamorphosis is the very melancholy and disheartening story of Gregor Samsa. 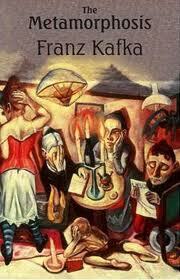 The novel, first published in 1915, contains the story of the ordinary and extraordinary fate of Gregor and his life. Gregor, a traveling salesman, lives with and is the primary support for his young sister, his parents and himself. Gregor is extremely unhappy in his job, and seems drawn to another calling. As a salesman he is often met with the word “no,” and is rarely encouraged or praised--either in his job or in his home. Gregor awakes one morning to discover that he is no longer a human but rather an insect with many legs. Many speculate that this insect is a roach, as he refers to himself as “monstrous vermin,” and roaches are certainly one of the more “monstrous” of insect with many legs. Suddenly, Gregor becomes transfixed on his new situation and its bleakness. Gregor’s family becomes horrified and embarrassed by their son and brother. They insist that he remain in his room, or that he hide from visitors and other family. Gregor spends the remainder of his life wasting away. He notices the everyday, mundane things about his life and his surroundings--an important part of Frank Kafka’s writing and descriptive ability. As he “wastes away,” Gregor comes to appreciate the life that he led previously, as a salesman, and increasingly wishes that he could return to that way of thinking, living and interacting. Gregor’s situation becomes bleak when suddenly, his internal characteristics begin changing to match the external metamorphosis that has taken place. He becomes unable to have communication with his parents and sister, and he can no longer eat food, except that which is found under the couch, between the cushions, or on the floor. As he is forced into hiding in his room, his sister Grete does attempt to bring him food each day. She is his only source of interaction and comfort. Paper Masters writes custom research papers on Metamorphosis and examines a story about a salesman named Gregor Samsa that was first published in 1915 and by author Frank Kafka.